The D Day story is told through personal accounts of people who were there. There are iconic collections from Landing Craft to Betty Whites coat, brought to life with stunning audio visual presentations. It is the story of the liberation of France from Nazi Germany. The story continues telling of the courage, determination, comradeship and sacrifice, secrecy, deceptions and innovation. It affected the lives of millions, mostly ordinary people, caught up in an extraordinary event. The account is told in three parts: Preparation, Legacy and the Overlord Embroidery. 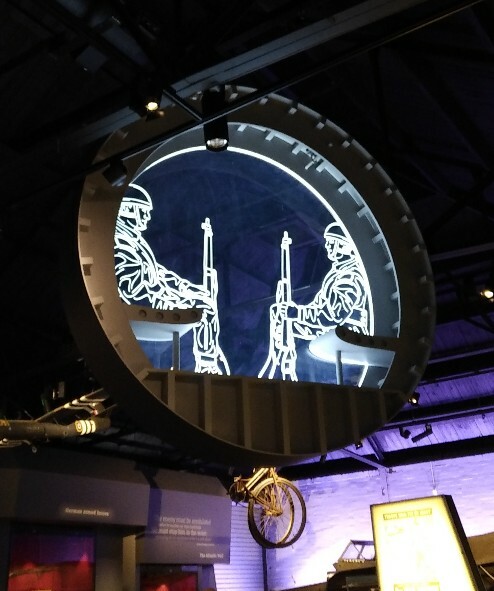 The museum tells the journey of “The Plan” and how those in charge made the crucial decisions around where and when to cross the channel, and the secrecy and deception that was required. You can test your knowledge of what is true and learn how fact is sometimes stranger than fiction. 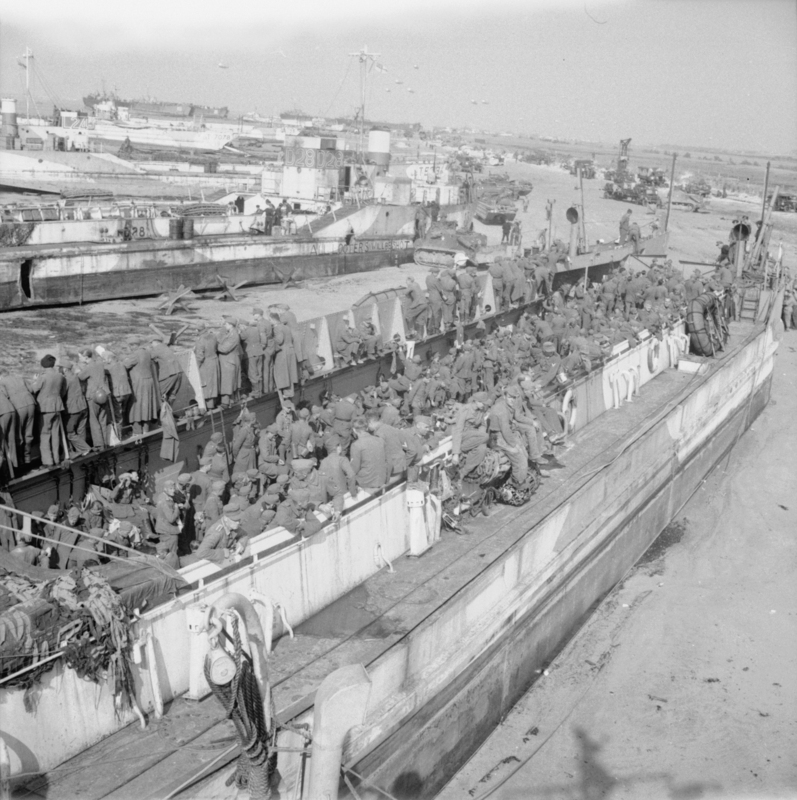 Discover what job you would have been conscripted to, and find out if you could land a landing craft. 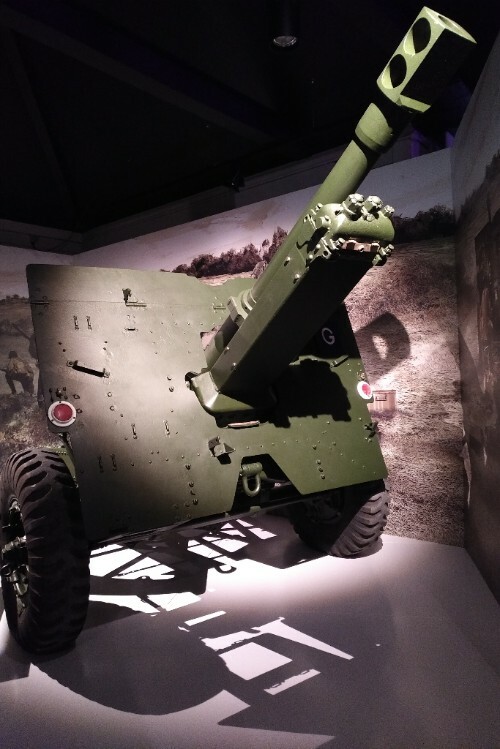 There are two spectacular audio-visual displays that capture the scale of D Day and the experiences of the troops that landed on the five D Day beaches. The first display is projected on to the museums original landing craft. This gives a real awareness of the conditions on board and the thoughts of the men as they approached the Normandy beaches. The beaches display shows a comprehensive array of objects from the day itself. These include life belts, a padres’ stole and a mine that turned out to be a “saucepan”. The Legacy Gallery features the impressive Overlord Embroidery. This was commissioned to remember those who participated in D Day and the Battle of Normandy, and there are film clips of veterans talking about their experiences. There are a range of gifts to suit everyone and also a good selection of informative books that are a good learning tool enabling a greater understanding of D Day. The café is a good place to discuss the journey and to enjoy hot and cold drinks accompanied by tasty bites to eat. D Day Story, Clarence Parade, Southsea. PO5 3NT Tel 023 9288 2555.